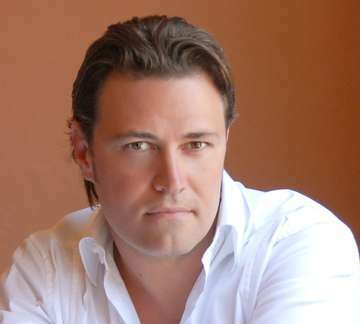 Italian Tenor, Pasquale Esposito, returns to the historic Carmel Mission Basilica for his 8th Annual Benefit Concert. The evening's performance will feature special guest artists. Pasquale will present an intimate, acoustic performance accompanied by acclaimed concert pianist, Natalya Lundvedt. Natalya, originally from Minsk, Belarus, has an incredible formal training in piano. She obtained her Master’s Degree from the San Francisco Conservatory of Music and her Doctorate Degree at UCLA. She has performed internationally with many symphonies and also performs as a soloist. Esposito was born in Naples, Italy and immigrated to the US in 1998. He is an international recording and touring artist. He pursued his passion for music and received a degree in Music with distinction from San Jose State University in 2009. In 2015, he released his 1st PBS Special on Enrico Caruso successfully and released his 2nd Public TV Special in March 2018 on Italian Piazzas. In 2015, he had his critically acclaimed debut at San Francisco Opera’s premiere of Two Women. There are two ticket options for this event. You may purchase single general admission tickets for $50 or you can purchase a VIP general admission ticket (seated closer to the altar) paired with a pre-concert dinner at Vesuvio Restaurant in Carmel for $125. It will be a pre-fixed dinner with a glass of red or white wine. Tickets for the dinner option are limited. For more information, call 408-528-6308.